Today marks the second anniversary of a landmark day in the long battle for justice for the 96 children, women and men who lost their lives at Hillsborough. On April 26, 2016 – after more than two years of proceedings at Birchwood Park in Warrington – the longest-running inquest in UK legal history came to a hugely significant conclusion. A jury of six women and three men returned determinations of unlawful killing in the case of each and every one of the victims of the tragedy on April 15, 1989. 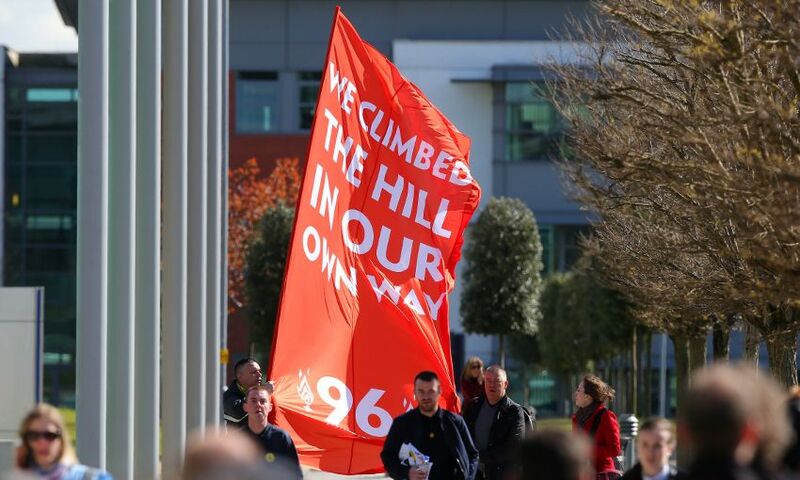 The powerful verdicts, which also stated that fans played no part in causing the disaster, arrived more than 27 years after the tragic events at the FA Cup semi-final between Liverpool and Nottingham Forest. They followed almost three decades of courage, determination and resilience from the families, survivors and campaigners, who refused to accept anything but truth and justice on behalf of their loved ones. The emotional outpouring inside and outside the court on that spring afternoon two years ago was matched in the city of Liverpool the next evening, when thousands came together for a special civic event at St George’s Hall. The LFCTV short film below tells the story of that landmark day.